On June 5-7, 2015, I attended the 6th International Conference organized by the Brazilian Translators Association (ABRATES), which took place at the Rebouças Convention Center in São Paulo. On Saturday, June 6th―the first day of presentations―I spent most of my day in Room 5, where several presenters talked about literary translation. The second presentation I attended, Research in literary translation: how journalism techniques contribute to selecting and interviewing sources of information, was by translator and journalist Candice Soldatelli, who translated Ghost Rider: Travels on the Healing Road (published in Portuguese as “Ghost Rider: a estrada da cura,”) written by Neil Peart, celebrated drummer for the rock band Rush. She talked about how this translation was, at the same time, a dream come true―she's a huge fan of the Canadian band―and a real nightmare―considering the amount of research required. She highlighted some of the similarities between translation and journalism: being faithful to a statement and/or source text, being careful not to impose your own point of view as a journalist and/or translator, and selecting and interviewing reliable sources of information. "Writing news stories is like translating reality," she compared. "Among all qualities a good translator must have, being a researcher is crucial." Before going into detail and telling the audience, in a very fun way, how the translation process was, Candice challenged those who attended the session: how many people there knew most of the professionals she had to resort to while trying to understand the variety of subjects mentioned in the book? 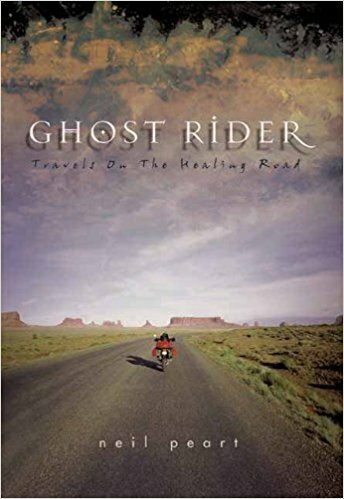 Her list, which was quite extensive, included bikers and drummers―as expected due to the nature of the book, considering the author's occupation and the fact that he had gone on a lone motorcycle ride through the roads of Canada―as well as an ornithologist, who studies birds. As an amateur bird watcher, the author mentioned several species and features observed during his trip, and these items needed to be translated precisely as not to attract negative criticism from readers familiar with the subject. "When I read the book in English, just for pleasure, I thought: 'Poor translator! He'll have to look up the name of all these birds!" she recalled, saying that she recommended the original book to Editora Belas Letras and ended up being hired as the Brazilian Portuguese translator after passing a test. At first, she tried to look for bird names using Wikipedia, expecting to find a link to the Portuguese page on the original English page. Candice admits she often hoped to find at least a link in Spanish that could help her "see the light" and find the name of each species. However, after not finding any reliable sources, not even for the scientific names in Latin, she decided to call an expert. "Can you imagine if an ornithologist reads it and it doesn't match?! I'd be ashamed of myself!" she explained, saying that she took her research with her when she found a specialist in the area, with whom she talked for over an hour. "When you work with an expert, you can't expect to get an education about the subject," she warned. "You must come in with a few solutions, so the two of you can have an exchange." After their conversation, she and the ornithologist ended up creating a name for a bird that only exists in Canada and, so far, hadn't made it into any Brazilian catalogs. Once they had made a decision, the expert even added the species to Wiki Aves, the Brazilian wikipage on birds. Candice said that she followed the same researching method with bikers and a drummer. "I was able to bring arguments to the table when talking to my copy editor. How come? Because I did my homework," she pointed out, saying that she also needed precise terms for motorcycle parts and movements made by musicians who play the drums. She said it was a "total-immersion process" to understand what had been written by the author, so that she could interpret, adapt, and indicate each term with precision to a Brazilian Portuguese audience. Once the book translation was completed, Candice had the unique opportunity of taking part in a book release event side-by-side with the author. "It's the best book about mourning that I've read in my entire life," she summarized how she felt about this rock star's story, who was pushed to the edge and decided to reflect about life and find himself again after losing his own daughter and, a few months later, his wife.